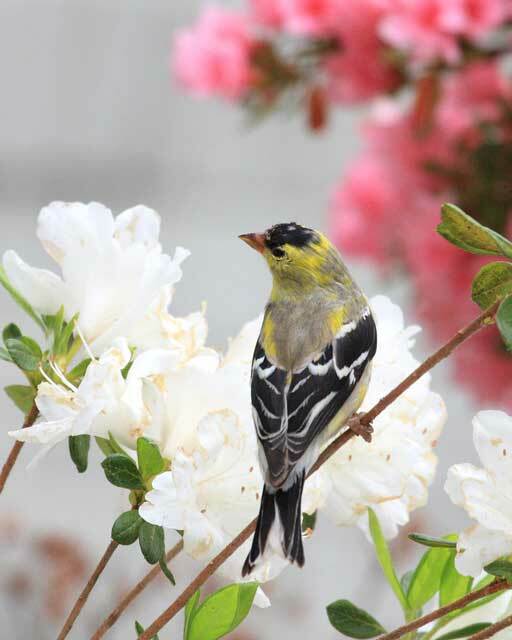 Earth Day is just around the corner, so it seemed like a perfect time to celebrate the birds we love with a suet recipe they delight in eating. 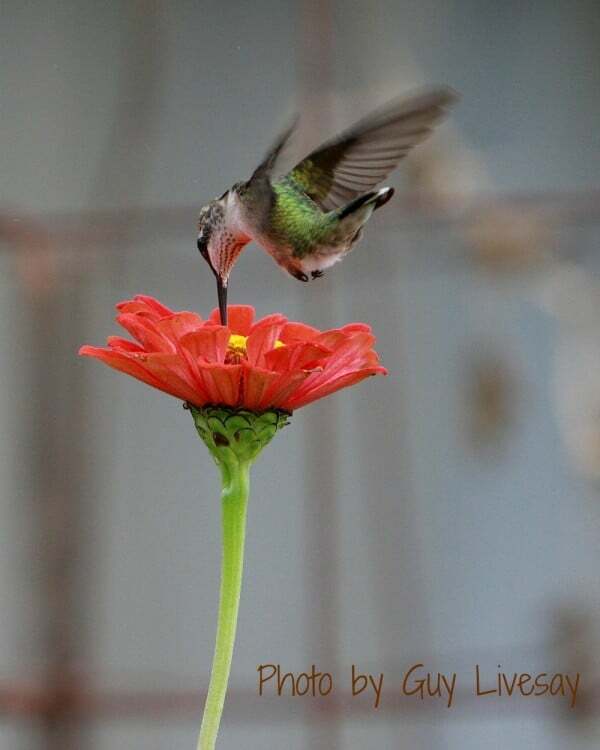 Our hummingbirds arrive at Big Mill B&B sometime around Easter – and it is with a flourish and a big show, chattering and demanding food. 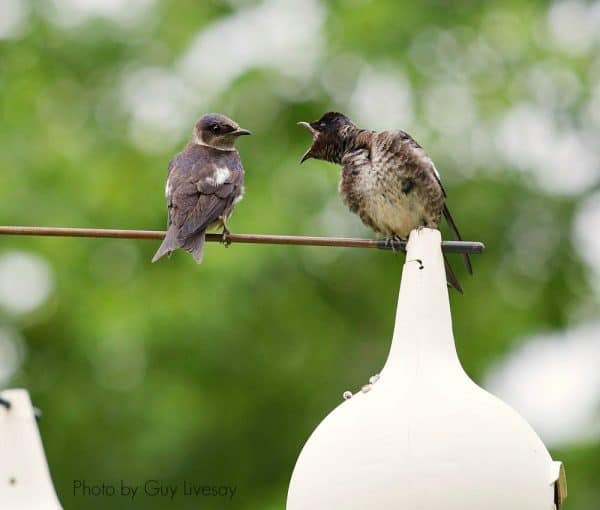 And since we are a designated Bird and Breakfast Bird-Friendly Business, we willingly obliged. 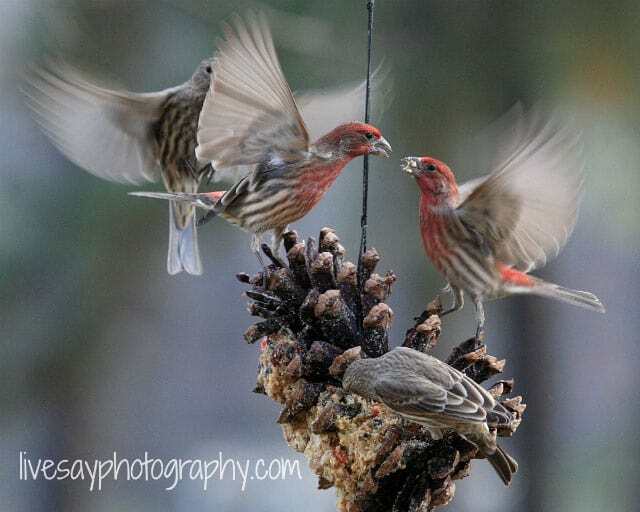 Guy’s outstanding photo, taken here at Big Mill B&B, earned him 1st place in the 2010 Beaufort County Arts Council Nature/Wildlife photography contest. Stir this mixture until all the sugar is dissolved. (Audubon suggests that you boil the sugar to kill any bacteria. If you change the water every day, this is not necessary). Allow solution to cool before filling feeders. This sugar water can spoil in hot weather, so change it often, at least two times a week or more. Store any excess nectar in the refrigerator. 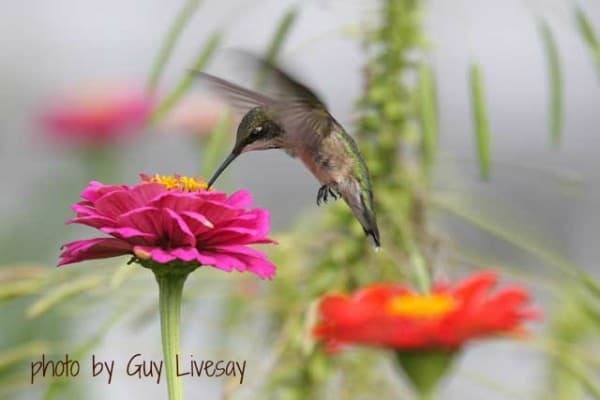 So, have you had any good hummingbird sightings this summer? 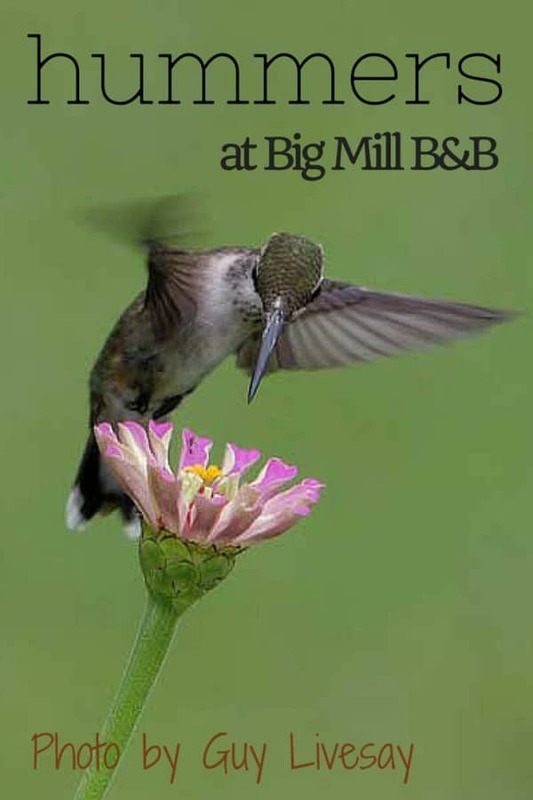 Share your best photos with us over on Big Mill Bed and Breakfast’s Facebook page . Find details about our earth-friendly special below. 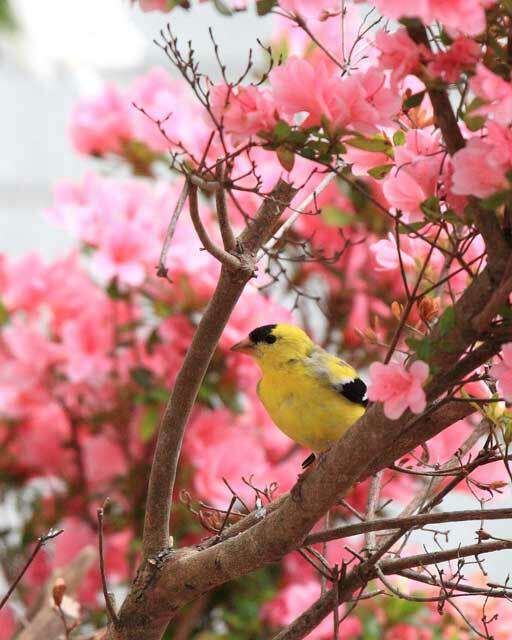 admiring our gorgeous azaleas in full bloom. 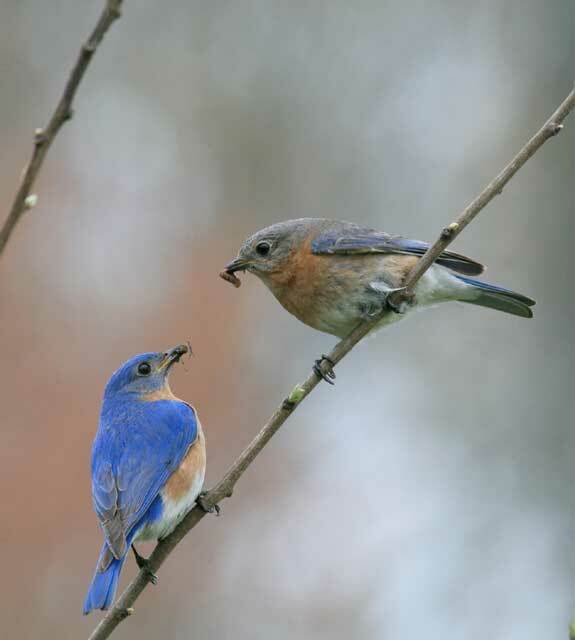 We offer food & lodging for finches, bluebirds, purple martins, barn swallows, Carolina wrens, hummingbirds, cardinals and throngs of other birds. There is no charge, but they are encouraged to pose for photos and to sing. Many feathered couples stay at Big Mill Inn and they especially enjoy our homegrown sunflower seeds and suet. 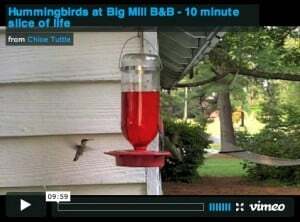 In fact, our Big Mill Birds are quite discerning and refuse to eat the store-bought suet. So while I am making breakfast for our people guests, I whip up a batch of homemade suet for our Big Mill bird guests. They love it! I am excited to have discovered a great use for left over bacon fat — it makes great suet! The woodpeckers at Big Mill really like fruit so any excess fruit goes into the suet. I have great hopes of making soap with the bacon renderings some day, but that hasn’t happened yet. Until then, it is suet. 3/4 to 1 cup rendered fat. (lard, bacon drippings, etc. In a large bowl, mix the corn meal and seeds together. Using two forks cut in the peanut butter, as you would for a pie crust. Melt the fat and pour into the corn meal and peanut butter mixture. Mix well and allow to cool. If it is too runny, add more corn meal or some oats. 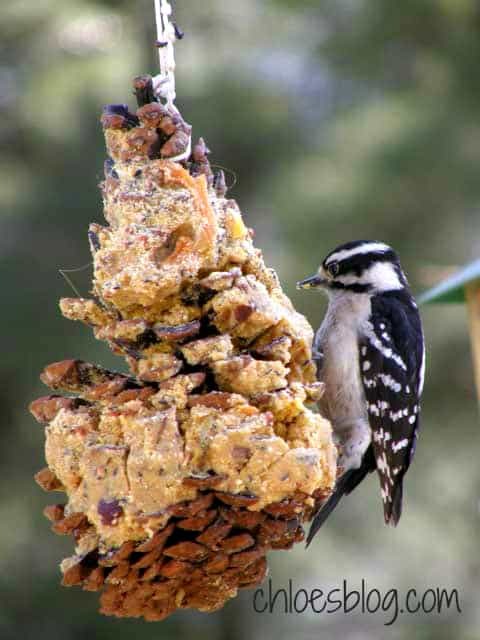 Stuff the suet into a pine cone. Hang several of these stuffed cones from a limb (as in photo above.) In a few days your birds will love you. 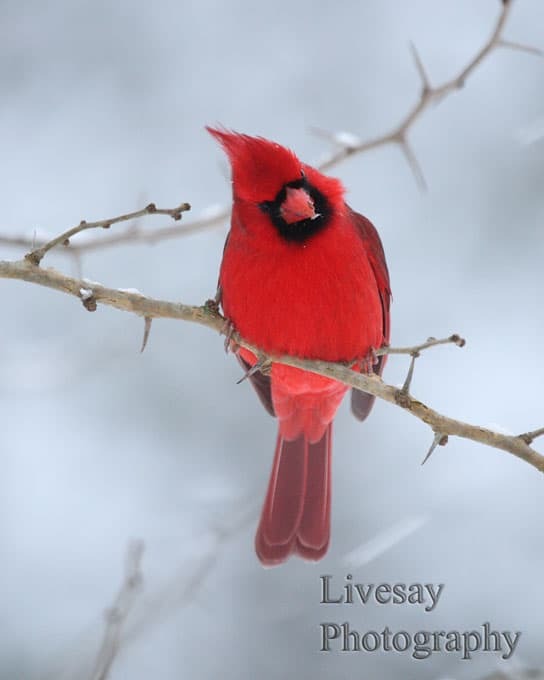 I hang mine near a feeder to speed this process. This recipe is very flexible-and a good way to use grease and fruit. Store excess suet in the refrigerator. 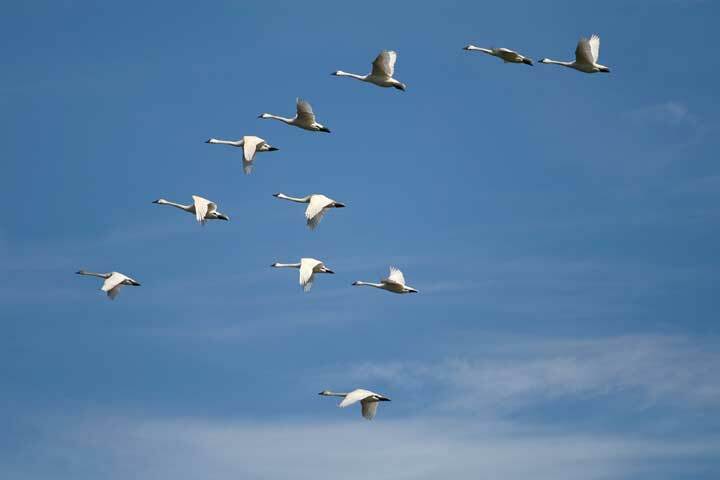 Lake Mattamuskeet and the Pocosin Lakes of eastern North Carolina come alive every winter as thousands of tundra swans and snow geese make the journey from the Alaska tundra to our Inner Banks. Both refuges are an easy day trip from Big Mill Bed and Breakfast.